Your task is to make your city or town center locations attractive places for people to shop, socialize and work. You are competing with out-of-town shopping malls and business parks. Your retailer members pay a levy to fund your work and allow you to manage street operations, carry out engaging marketing campaigns and assist visitors. Your challenge is to show your levy payers the improvements you are making in your area and ensure that the good work that you are doing doesn’t go unnoticed. You need a way to capture all the street activities being performed by your street ambassadors / rangers and to present this information in monthly reports. You also need to ensure that the Council / Municipality are delivering services in line with the baseline agreement. Eliminating paper forms from the field can save Street Ambassadors 20% of their time which can be re-deployed to visitor assistance for example. Admin time back at the office is reduced by 50% with no more reentry of data and reduced time to create reports, this time can be allocated to marketing campaigns. Use IoT sensors to automate repetitive jobs. Increase levy payer satisfaction with better reports capturing all the work you are doing on their behalf. GeoPal has resulted in a 30% time saving for the Ambassadors, so we have redirected that time to visitor assistance. It has eliminated paperwork and freed up administration resources for staff members by 50%, it enables us to concentrate on marketing activities both on and offline. This has been a significant improvement for our overall strategy and operating costs. See the location of your Street Ambassadors and Rangers on Google Maps in real-time. 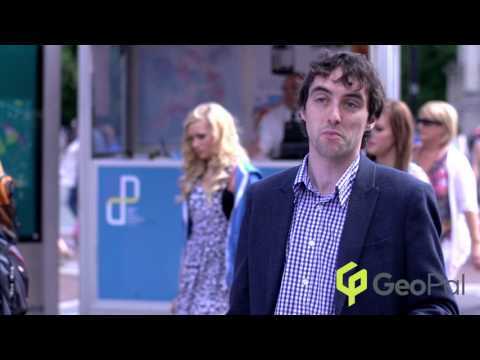 The GeoPal mobile app sends location updates back to the office every 5 minutes. View the surveys / tasks they are working on and the status of each. GeoPal has a powerful form creation studio. Convert any paper form into a mobile form / survey. GeoPal has a simple drag and drop interface, no programming required to create the mobile forms. Specify which forms can be accessed by different teams (Ambassadors, Customer Service Representatives). Use the mobile forms to capture photos, text, GPS coordinates, Video, signatures. Standard mobile forms available for environmental, defacement, homelessness, safety and illegal activity surveys. Create heat maps showing the density of issues across the city, for example the hot spots of graffiti or illegal signage. Create custom reports for different stakeholders – the Board, Management, Levy Payers. No more need to spend days creating stakeholder reports - automatically create custom reports directly from the field data collected by the street ambassadors using GeoPal mobile forms. With GeoPal you can measure how the Council / Municipality is performing against the agreed baseline. Capture photos, video and text notes and create PDF reports for use at meetings with Councils to show irrefutable evidence of non-compliance. See the productivity of each ambassador. Compare the number of tasks completed by each person. View the number of hours worked – street ambassadors can clock in and out of shifts from the mobile device. GeoPal connects Downtown Alliance Managers to the entire downtown eco-system, including links to City Departments via 311 integration. Issues captured in the street are automatically sent to City Departments, Local Councils. Issues can also be sent to 3rd Party Contracts for immediate action. Members can report issues to the BID / Downtown directly via the GeoPal mobile portal or web portal. A unique ticket number issued for each issue raised. Members can see progress on reported issues by logging in to the portal and entering ticket number. Upload your existing city asset details to GeoPal from a spreadsheet or capture asset details in the field with the GeoPal mobile app – Street furniture, planters, trees, lamp posts, etc. Tag assets with RFID tags. Scan the RFID tag with the phone to log a fault with that asset. Set up preventative maintenance schedules on the assets.